Friday, April 7th: HMS Talent Show- 6th and 7th grades will attend at 9:00 am and 8th and 9th grades will attend at 1:00 pm. The 1:00 pm show will be judged. The cost is $2.00 per student. Students can pay their homeroom teachers on Friday. 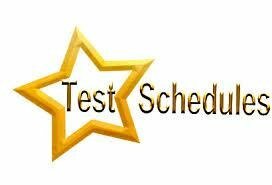 Please make sure your 6th, 7th and 8th grade students are in attendance if at all possible during our state testing. Students in 6th, 7th and 8th grades will be taking the math and reading portions and 7th grade only will also take the science portion. Students that are absent will be required to make up the tests. Please also make sure that your students are well rested and eat a good breakfast! We are ready to rock the ACT Aspire with some wonderful scores!